Ad prices range for any marketing budget from $40-$670 per month, depending on location and size. 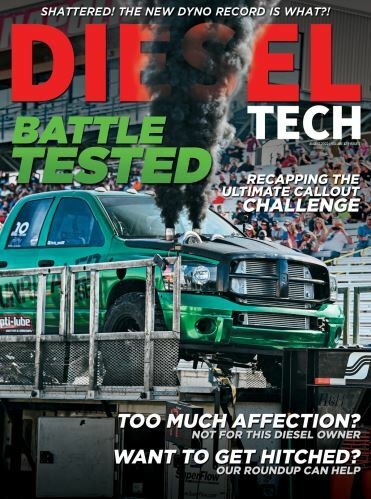 Dieseltechmag.com is one of the leading and most-visited resources for diesel truck information.Our website offers a complete listing of performance shops and aftermarket products second to none. We also include feature stories, new products, tech tips, build trucks, and much more. If you want to increase your exposure, dieseltechmag.com has everything you need. Diesel Tech will focus on trucks and their applications as work trucks, daily drivers and project trucks. Diesel Tech will differ from other truck publications by devoting more attention to blue collar trucks that pull trailers not ride to shows on them. Diesel Tech features trucks with a wide scope of modifications and performance products. It covers stock trucks, complete project build trucks, and everything in between, such as plug-in performance chips, suspension upgrades, exhaust performance, towing products, etc. Diesel Tech is written for performance enthusiasts who own heavy-duty light diesel trucks (1/2-ton, 3/4-ton and 1-ton pickups) or SUVs or those getting ready to purchase one. From the beginning, the middle and the end, showing all the upgrades and changes we have made to the truck. Every truck has a special purpose for a build and we try to capture all of them and give our readers a road map to do it with their truck. Highlights of the industries newest and best products, upgrades and events. Look here for must-have and hot items to increase your trucks looks and performance.